In 2016, CVT opened a healing center for survivors of torture in Atlanta, Georgia. Here, CVT extends rehabilitative care to refugees and asylum seekers, incorporating the specialized care that is most effective for survivors of torture who have fled their countries to the U.S. in search of safety and a new beginning. 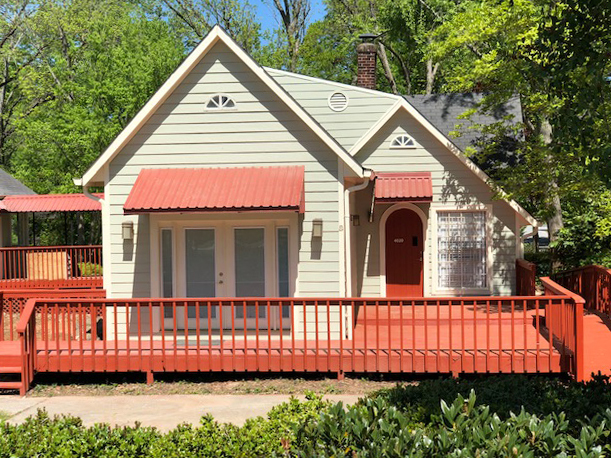 CVT Atlanta uses a holistic model of care that incorporates psychotherapy, clinical case management and professional interpretation to address the unique needs of clients in a safe therapeutic space. We also work to support human rights and the lives of refugees and asylum seekers in the state of Georgia, engaging in policy advocacy to enable clients to rebuild their lives and restore their hope after surviving torture. In addition to policy advocacy, our external relations work also includes fund development and communications/community relations. In 2017, CVT cared for 59 clients in Atlanta. Our focus on refugees and asylum seekers allows us to reach survivors of torture early in their resettlement process, allowing healing to begin sooner than occurs in other locations. Over time, these early interventions help prevent the immense costs that come with unmet needs for mental health care. We extend confidential rehabilitative care to survivors of political torture and their families. To refer a client to CVT Atlanta, please fill out this form and send it to us by fax. Once a referral is received, we will make an initial call to the potential client and explain our services. We will ask for information to see if our services are a good fit. If appropriate, we will then schedule an initial screening appointment. We provide live interpretation for each appointment and services are at no cost to clients. Please see this brochure for additional details. Click here for information about CVT's Georgia Advisory Council. CVT'S healing center in Atlanta is made possible through funding from the Office of Refugee Resettlement (ORR), and services are provided at no cost to the clients.